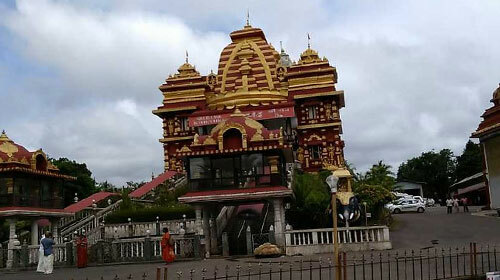 This temple is very different from other temples as it belongs to the Shaiva division of Hinduism. The temple has the shrine of Sri Annappa Swami who is known as the Head of all Justice that prevails. The temple feeds around 10,000 people each day in the Annapoorana choultry. Over a 1000 years ago, in the place known as Kudumapuram, lived a Jain chieftain who was called Birmanna Pergade with his wife in their house. One day a group of the guardian angles of Dharma came in search of a place where Dharma could be practiced and worshipped. They came across Pergade’s house and were received with all warmth and respect. The angels were pleased and that following night appeared in the dream of Pergade asking him to vacate his house as it will become a place of Dharma worship. They also asked him to dedicate his life to the worship and practice of Dharma. Pregade obeyed at once and began building many temples and shrines as instructed by the angles. In return for his service the angles promised him and his family protection and abundance of charity. He started building the temple and invited Brahmins to perform the ritual. They asked Pregade to install a Linga there and the temple was built around the Linga. The temple functions from 5.30 am to 12.00 pm and 4.00 pm to 9.00 pm. Maha Shivarathiri and Navarathri are celebrated with special pujas here.